May 28 - to - June 12, 2014. 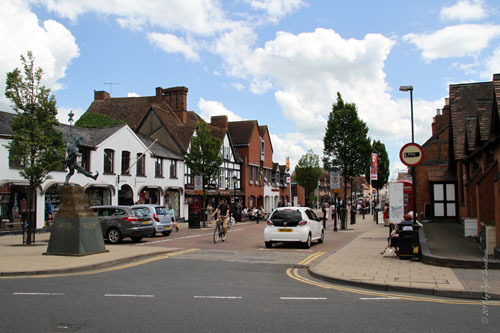 Stratford-upon-Avon is William Shakespeare's Birthplace and Final Resting Place. 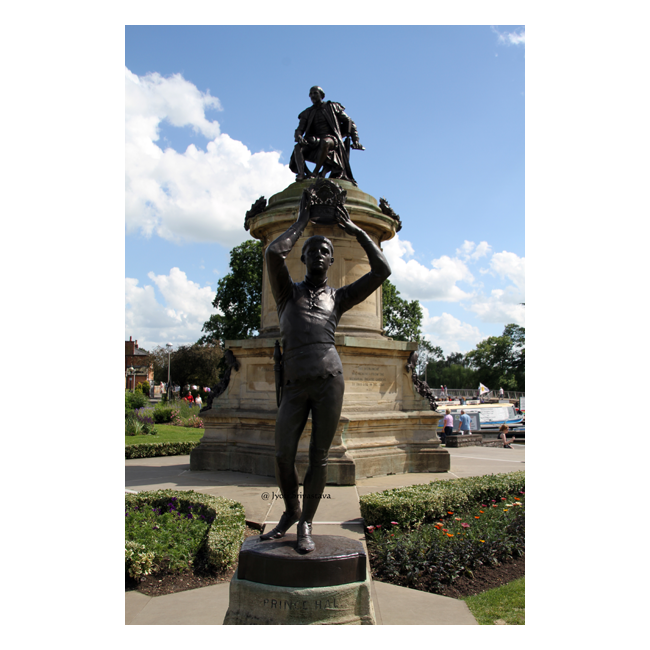 Almost all the attractions in Stratford-upon-Avon are related to Shakespeare..
Town Walk: with more places related to William Shakespeare. 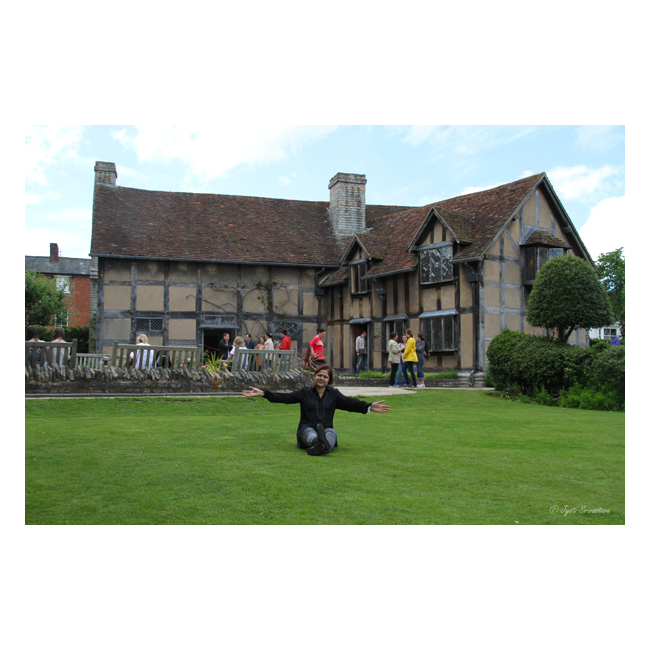 Above Image: The house where it is believed that William Shakespeare was born in 1564 and spent his childhood years at Henley Street, Stratford-upon-Avon, Warwickshire, England. In the image is my niece Tanvi Sinha. 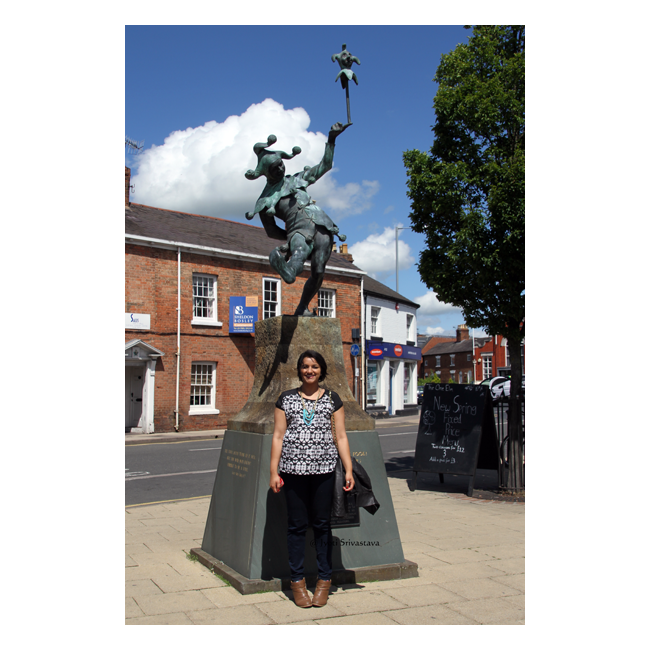 The Jester [Touchstone] - by James Butler "Touchstone" from "As You Like It"..
2014 Vacation: UK / England /Startford-upon-Avon: Holy Trinity Church / Shakespeare’s final resting place. Said to be England's most visited Parish Church. 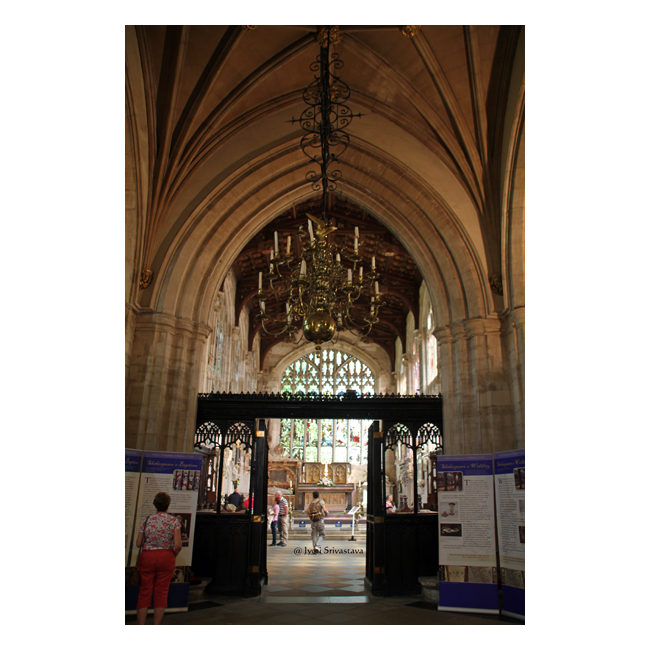 It receives many thousands of visitors each year due to the fact that William Shakespeare was baptized here, worshipped here, and is buried in the chancel. The church also has beautiful stained glass windows throughout. We walked a lot in Stratford-upon-Avon. Here are some interesting buildings we saw..
At each corner of the Memorial, the sculptor has placed a representative Shakespearean character: “Hamlet, Prince Hal, Lady Macbeth and Falstaff. These characters were intended to be emblematic of Shakespeare's creative versatility: representing Philosophy, Tragedy, History, and Comedy”. 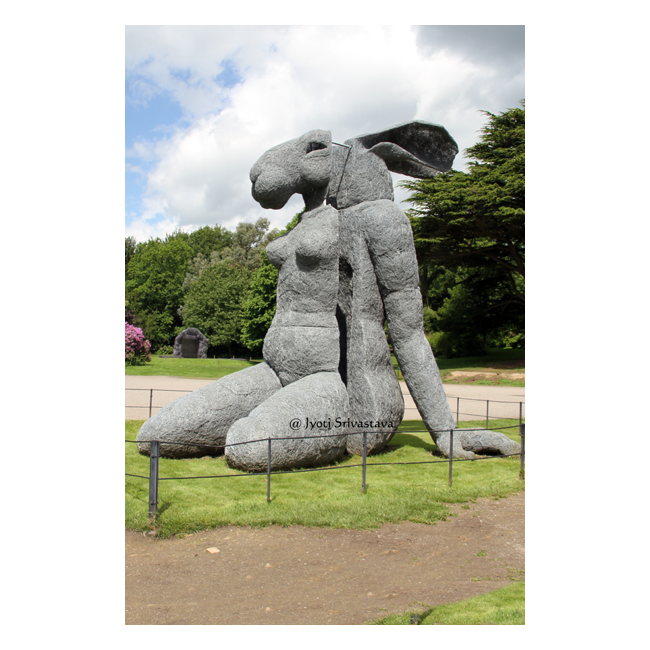 Yorkshire Sculpture Park.. is UK's first permanent sculpture park. It was established in 1977 and is set in 500 acres of 18th century designed parkland. 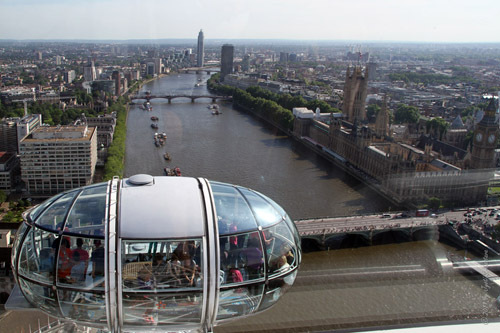 It is internationally renowned for modern and contemporary art. 2000 / Ceramic, glass and pebbles on polyurethane foam and resin with steel frame. 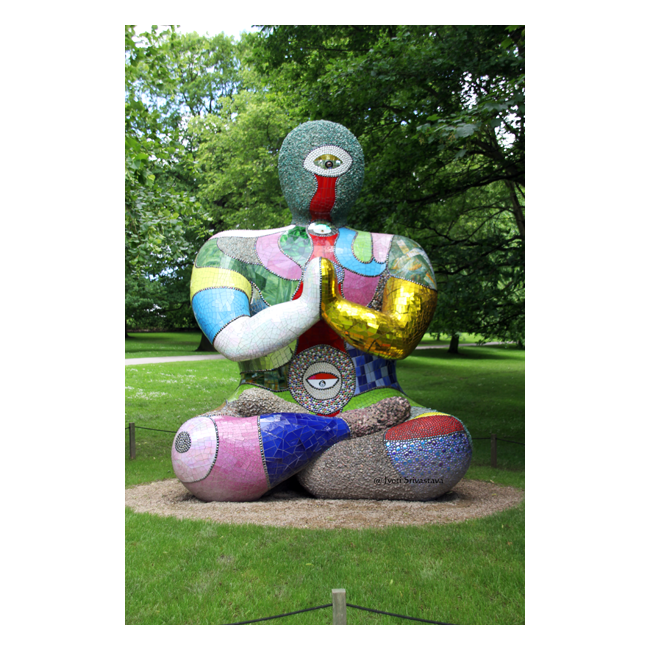 Buddha represents the culmination of Niki de Saint Phalle's decorative style. Its vivid mosaic surface bears the influence of Gaudi's distinctive technique. Location: Yorkshire Sculpture Park [YSP]. 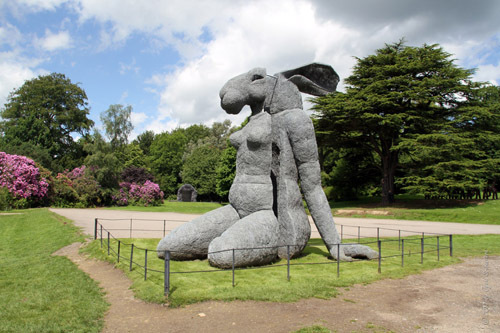 Two examples of her Lady-Hare, Sitting, 2007 and Crawling, 1999 can both be found in Lower Park, by the Cameliia House at YSP.